Despite nearly 60 new regulations and more than 1,300 Federal Register pages, regulations remain on a below-average pace this year. Last week, 58 new final regulations were published in the Federal Register. There were 77 new final rules the previous week. That’s the equivalent of a new regulation every 2 hours and 54 minutes. So far in 2014, 1,147 final regulations have been published in the Federal Register. At that pace, there will be a total of 3,186 new regulations this year. This would be the lowest total in decades; this will likely change as the year goes on. Last week, 1,345 new pages were added to the Federal Register. Currently at 26,798 pages, the 2014 Federal Register is on pace for 74,439 pages, which would be the lowest total since 2009. Rules are called “economically significant” if they have costs of $100 million or more in a given year. 15 such rules have been published so far this year, none of them in the past week. The total estimated compliance costs of 2014’s economically significant regulations currently ranges from $1.77 billion to $2.14 billion. They also affect several billion dollars of government spending. 97 final rules meeting the broader definition of “significant” have been published so far this year. So far in 2014, 235 new rules affect small businesses; 32 of them are classified as significant. The EPA issued new rules for burning wood in Washington State. Also in Washington State are new handling regulations for potatoes grown there. The Treasury Department is issuing sanctions related to the situation in Ukraine. 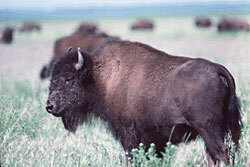 The Fish and Wildlife Service is establishing a “nonessential experimental population” of wood bison in Alaska. Kentucky glade cress is now considered a threatened species, and is receiving approximately 2,053 acres of critical habitat. The Salt Creek tiger beetle‘s previously designated critical habitat has been revised. It covers approximately 1,110 acres.